Matt Antoine looks on after competing in the United States men's skeleton team trials Monday, Oct. 28, 2013, in Park City, Utah. Antoine came in first place after 2 heats. Matt Antoine watched skeleton racing for the first time during broadcasts of the 2002 Salt Lake City Olympics, where Americans swept the gold medals in the headfirst sliding discipline. He wanted to be part of the team. Problem was, the team didn't want him. A tryout the next winter in Lake Placid didn't go so well, with coaches thanking him for his interest and sending him home. Undeterred, he came back a year later, found a way to stick around and his stock has steadily risen. This weekend in Lake Placid, Antoine should be among the U.S. medal contenders when the World Cup circuit hits the track at frigid Mt. Van Hoevenberg. "I got told I wasn't good enough at that first tryout," Antoine said. "I didn't believe it. We joke about it now. ... I got that taste of it for a week, I knew it was something that I loved and I didn't believe that I didn't have it." Interestingly, the original scouting report indicated Antoine lacked natural talent. These days, some around the U.S. team consider him loaded with pure driving talent, even comparable to women's gold-medal favorite Noelle Pikus-Pace. He's tied for third in the World Cup standings so far, and could be part of another big medal haul this weekend. The U.S. bobsled and skeleton teams are coming off a 10-medal World Cup weekend in Park City, Utah. Another weekend on "home" ice should give the Americans even more momentum ahead of the Sochi Games. The weekend schedule opens Friday with 2-man bobsled, women's skeleton and men's skeleton. On Saturday, it's another 2-man bobsled race followed by women's bobsled. On Sunday, women's skeleton returns to the track, followed by 4-man bobsled to wrap up the hectic seven-event schedule that closes the North American portion of the World Cup season. WILLIAMS WATCH: Lauryn Williams' Olympic watch, winter version, is starting to get real. Williams will be racing with top pilot Elana Meyers in USA-1 for Saturday's women's bobsled race. The former University of Miami and U.S. Olympic sprinting star helped the Americans win a silver medal in her World Cup debut last weekend. Another strong push this weekend would figure to squarely put her in the mix for the Sochi Games. UNBEATEN HOLCOMB: USA-1 men's pilot Steven Holcomb is 4-for-4 so far this season, winning two 2-man and 4-man races at the opening World Cup stops. He could open more of a lead in the World Cup standings this weekend and that's significant, since the start order to begin the Olympic competition will hinge on the season's overall points chase. More wins now, a better start position and therefore better medal chances in Sochi. FAREWELL, NOELLE: This weekend marks the final time top U.S. women's skeleton pilot Noelle Pikus-Pace will race against an international field in the United States, since she's retiring after the season. She's still steaming over her disqualification in the season-opening race in Calgary, and two good showings in Lake Placid could close most of the gap that she's facing in the World Cup points race. WEATHER ISSUES: It's going to be frigid this weekend in Lake Placid — not surprising — so look for very hard, fast ice. And on a tough-to-drive track like the one at Mt. 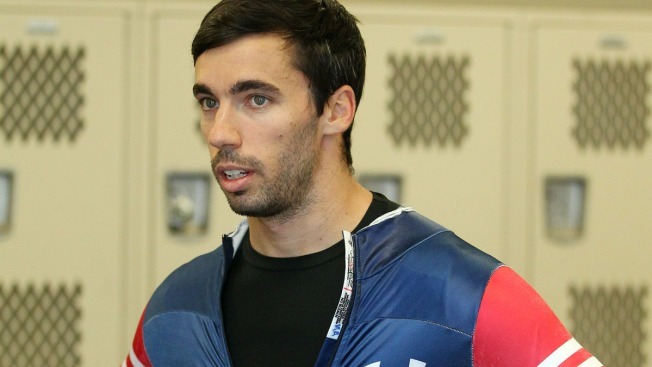 Van Hoevenberg, don't be surprised if a couple of bobsleds topple on race day. INTERNATIONAL FLAVOR: Germany has long been the world's sliding power, but so far this season it's been the U.S. and Canada looking like they'll be the ones to catch in bobsled and skeleton. Considering this is a home track for the Americans, and one the Canadians know about as well as the ones in their own country, look for the usual suspects like Holcomb, Meyers and Canadian star Kaillie Humphries to find their way to the medal podium this weekend.